In this final team-up issue, all-out war has broken out in the streets of Shamba-La! The Stag and The Joker are hell-bent on stealing all of the city's secrets and ensuring absolute darkness falls across the globe. 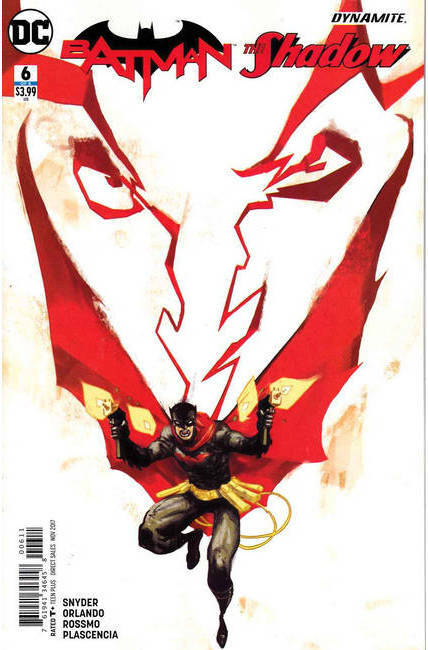 It's the last stand for Batman and the Shadow, and the Dark Knight will have to decide once and for all if he's going to embrace the destiny the Shadow has set out for him.